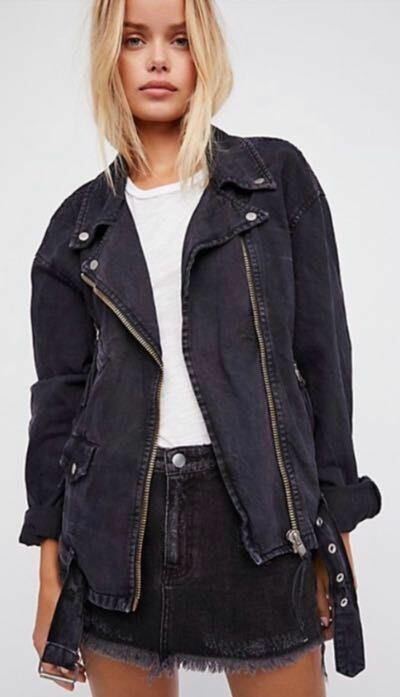 New with tags Free People oversized denim jacket. Has lace up and zipper detailing along the front. Black washed denim material and zipper detailing is a dull gold color. Love this jacket! !